Sam Raimi wraps teenage adolescence in a superhero veneer in the web-slinging Spider-Man’s original film debut. 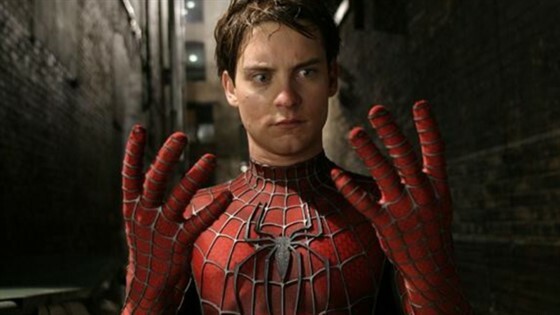 In 2002, Sam Raimi brought Spider-Man to the big screen and, with Tobey Maguire as Spidey himself, captured what Stan Lee intended for the character to be: someone to whom teenagers could relate. Sure, there’s a nefarious corporation seeking a military contract that results in a monstrous villain willing to kill the innocent, but at the heart of Spider-Man is a coming of age story about a boy with a crush on a girl. Will he win her love? Will he land that post-graduation job? Yes, right after he lays the big bad to waste. In addition to Maguire, the cast includes Kirsten Dunst, who brings a believable girl-next-door feel to Mary-Jane Watson; James Franco in his studio breakout role as Harry Osborn (a strange for the purported Renaissance man); and Willem Defoe, always a fun on-screen presence, as the Green Goblin.